CAN’T I NEGOTIATE MY OWN OFFICE LEASE? WHEN IS THE RIGHT TIME TO ENGAGE A “TENANT REP”? A “tenant rep” is a real estate advisor that represents your real estate interests in a lease transaction. They do NOT represent the interests of landlords or property owners. The timing to engage a tenant rep varies and is dependent on the lease notice/expiration date and the size/type of space you lease. Implement your relocation or lease renewal strategy no less than six months prior to your lease notice date if you have 5,000 square feet or less. If you have more than 5,000 square feet and less than 25,000 square feet, you should initiate your strategy at least 12 months prior to your lease notice date. Do you lease more than 25,000 square feet? You are a substantial tenant in the market and it is vital to initiate an effective relocation or renewal strategy 18 months in advance of your lease notice date. The Rolling Stones had it right – – – time is on your side! Perhaps your lease expires in 24 months and you believe that is adequate time to re-negotiate or relocate. To achieve maximum leverage, time is, in fact, on your side. With more time, you can leverage the market and make a fully informed real estate decision and maximize economics, lease concessions and flexibility. With less time, owners know the opportunities to “play the leverage card” will limit a tenant’s lease flexibility and economic concessions. It is a landlord’s primary objective to obtain the highest rent and provide the least number of concessions. 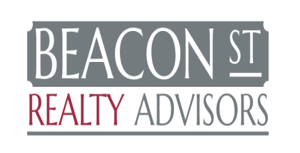 A real estate advisor that exclusively advises tenants, a “tenant rep”, will make the difference in ensuring you avoid conflicts of interest with a landlord, by providing current market information, compressing your occupancy costs and ensuring the real estate strategy is aligned with your business objectives. Furthermore, your business changes over time and so do space needs. In order rationalize the right amount of space you need now and in the future, “right sizing” will require you to consider headcount growth or reduction, space utilization, special components like labs, training rooms, data rooms, storage, supplemental power or cooling, etc. This means programming should take place well in advance of any lease notice. What steps are you taking now to accurately determine these factors and others related to your business? With a “tenant rep”, tenants better maintain control of lease negotiations and will be responsive to variables that unfavorably impact the lease negotiation process.